I remember this aquarium being built and I also fondly remember wanting to visit. But, every time I went to Toronto, we never got the chance to visit. So, we made it a point just to come into the city and spend the day at Ripley’s Aquarium of Canada. 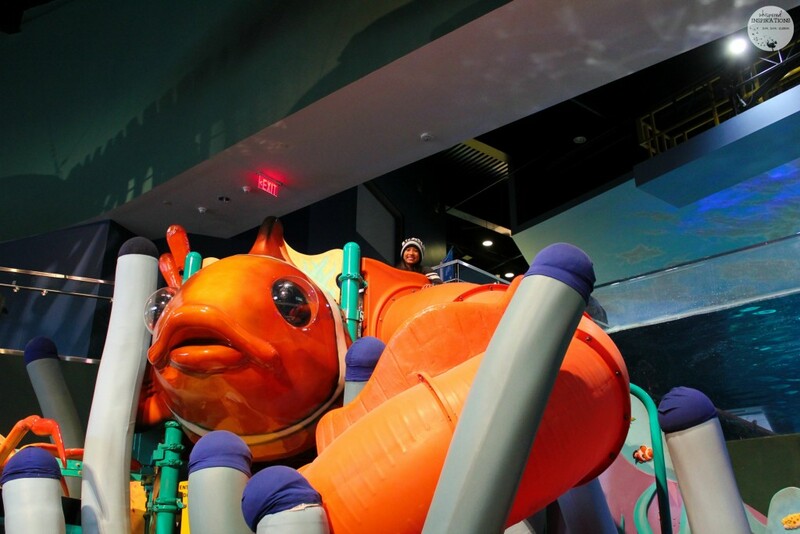 It’s THE largest indoor aquarium in Canada (12, 500 sq. metres) and since it is indoors, it’s a perfect attraction all-year long! 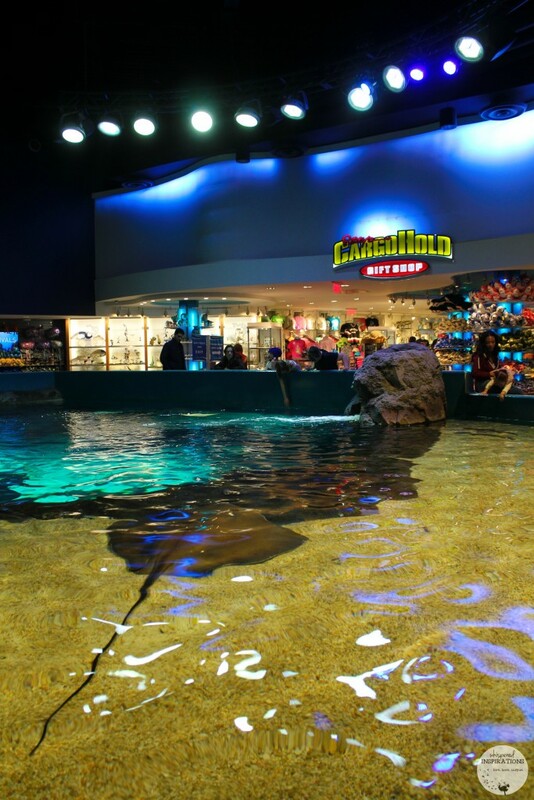 Not to mention Ripley’s opens at 9:00 AM and closes at 11:00 PM, so you have all day to enjoy the aquarium. The best times to come for a visit is bright and early at opening time or just after 4:00 PM. We visited in the afternoon and it was perfect! Gabby and Mimi were so excited to visit and the night before, we discussed what they were looking forward to the most. On the list were the manta rays and sharks! 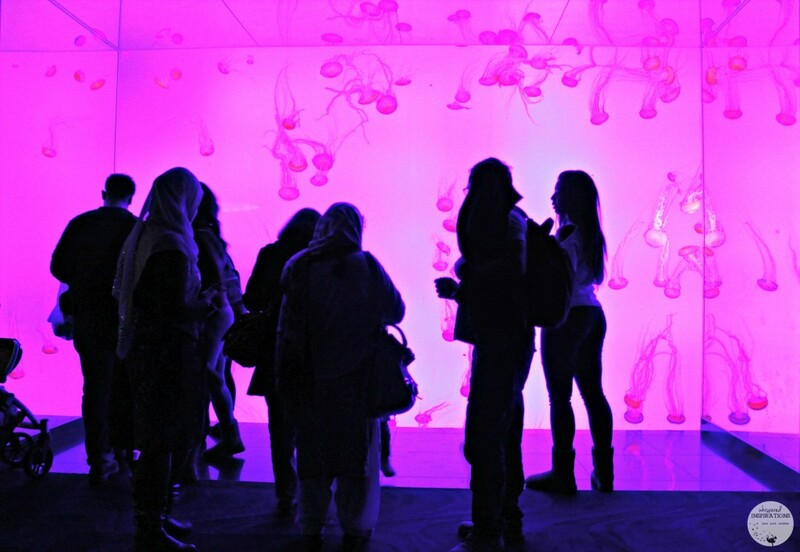 I have to admit, I was most looking forward to the jellies, all the jellies! I am a bit obsessed! We started to make our way through the aquarium and were greeted by an array of fish. What I love about the aquarium is that it is roof to ceiling and you feel like you are inside their habitat. We stopped at each exhibit and read all about the species that lived within. The girls loved the huge lobsters and admired their claws and we were all amazed with the octopus! We even stopped and weighed ourselves to see how much we would be worth if were the catch of the day! 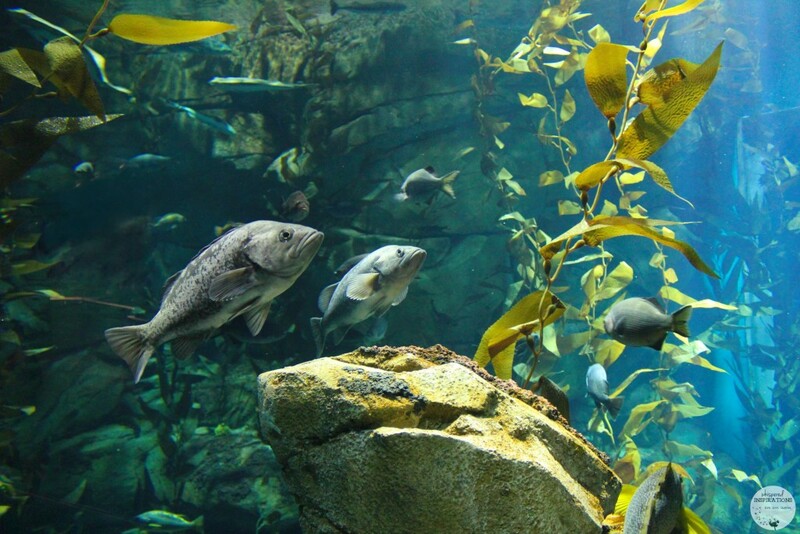 The Pacific Kelp was a sight to see. Gabby and Mimi were amazed with the length and how they swayed in the waves! 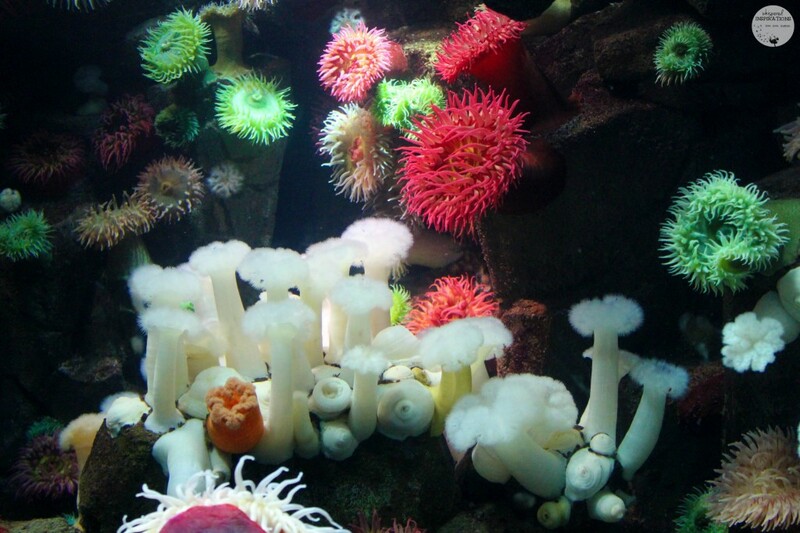 Now, it was the first time for all of us too see a live anemone. Mimi knew right away that it was where Nemo lived. They were incredible to watch and we were taken aback at how beautiful and colorful they were. 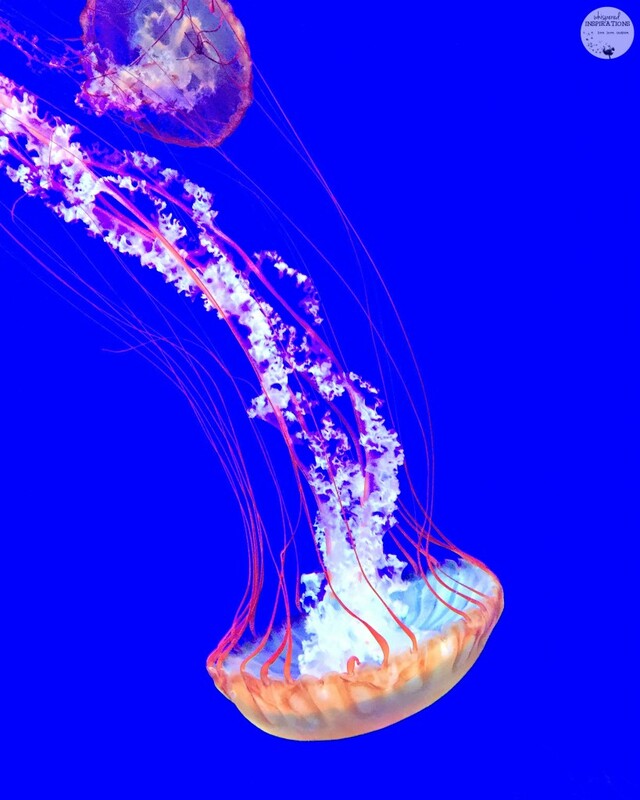 One of the things that I enjoyed about the aquariums is its flow. I like how you make your way through at your own pace and you don’t get lost. It just flows! We continued our way through and we came up to a HUGE aquarium habitat. There were thousands upon thousands of fish swimming about in the Rainbow Reef and we were just in time for a dive show. There is a live interactive dive shows every two hours starting at 11:15am. The aquarium employee introduced our diver and gave us awesome trivia about the fish. Did you know that they love to eat Bok choy? They loved it! Don’t fear, you are perfectly safe in this lagoon. You can either walk through yourself or stay on the moving belt and all you will have to do is look all around you. We decided to stay on the belt and it was incredible! 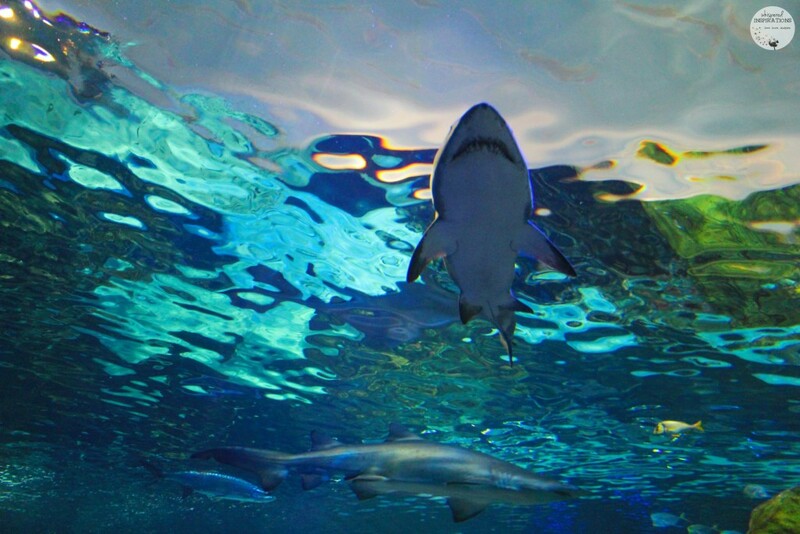 Seeing the sharks up close and personal was not only a little bit scary but, AWESOME! We made our way through twice and each time it was amazing! I was so happy to be able to see a sea turtle fly, err, I mean swim right above our heads and that sawfish? Incredible! Head to the Discovery Centre! The girls loved getting their hands wet and touching new animals. 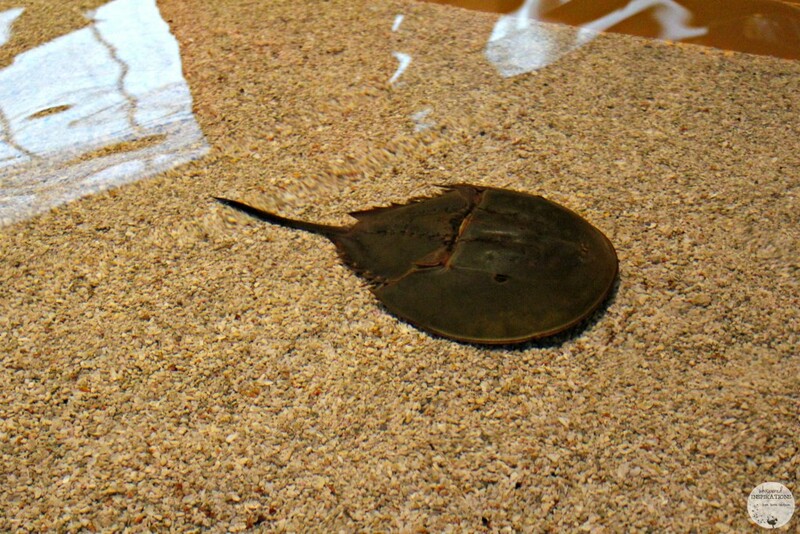 The reef sharks were a lot of fun and horseshoe crabs were pretty wild! At first glance, I thought they were a type of manta ray but, nope–crab! The girls had a great time going up and down the slides and playing in the play area! It was pretty popular! It’s also the perfect place to grab a bite, I know we built up quite an appetite! You’ll find the Ripley’s Cafe and a lot of delicious options to enjoy. Make Your Way to Ray Bay! Out of the many aquatic animals that I love, manta rays and jellies are my absolute favorite! So naturally, the next exhibits were the ones I was aching to see! 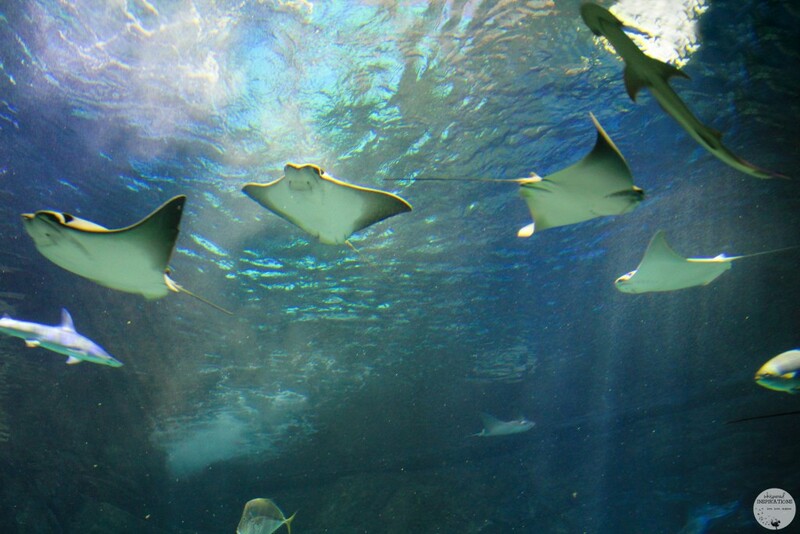 We spent a lot of time in Ray Bay and the rays are so playful. They kept coming up to the glass and following our movements. Their mouths look like a smiley face and they are so darn cute! More like Jelly HEAVEN because I most certainly was in heaven. I spent a good 30-40 minutes in here mesmerized by them. The changing colors made it even more ethereal and hypnotizing. Ripley’s must know there are people like me since there is seating right in front of the exhibit and I sat there in awe. No matter how many times I see them, I am always blown away by their beauty and mystery! After you’ve viewed over 16, 000 animals like sharks, jellies, rays and sea turtles–you’ll want to take a little memento with you. On the way out, you exit through the gift shop and there are so many cute things to browse for! They even have fancy jelly fish plates, shark teeth necklaces and stuffies galore! You’ll find keepsakes from all around the world and better yet, you’ll be able to get your hands on local artisans work too. As I’ve mentioned before, the best time to avoid larger crowds is during a weekday at 9AM or in the afternoon around 4:00 or 5:00 PM! Walk-Up Prices for Adults (14+) are: $29.98, Youths (6-13) and Seniors (65+): $19.98, Children (3-5): $9.98, 2 Years and Under: Free. Annual passes are available as for those who want to visit several times a year. Timed Ticket Prices are also available and if you reserve your entry time, you can save on your ticket prices. Adults (14+) are: $26.98, Youths (6-13) and Seniors (65+): $16.98, Children (3-5): $6.98, 2 Years and Under: Free. You can buy your tickets online. There are several parking lots around Ripley’s and we parked on Front St. and it was about a 5 minute walk. We walked past the CN Tower and were there in no time. Parking cost about $12/day so if you are down for Ripley’s you can explore downtown after you leave and not have to pay for parking. The Ripley’s Cafe is small but, has a lot of options. If you didn’t bring snacks, it’s a great option. Even if it is just to get a refreshment or small snack. 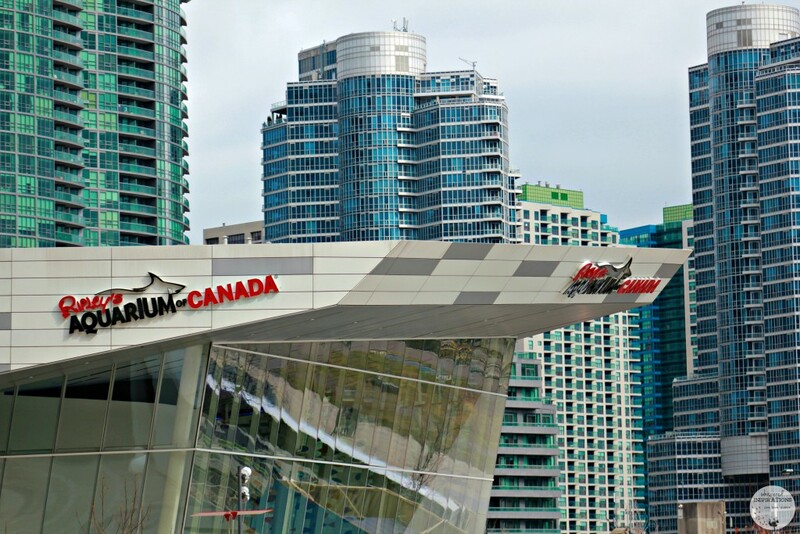 Ripley’s is in an awesome location and there are many options in the surrounding areas as well. 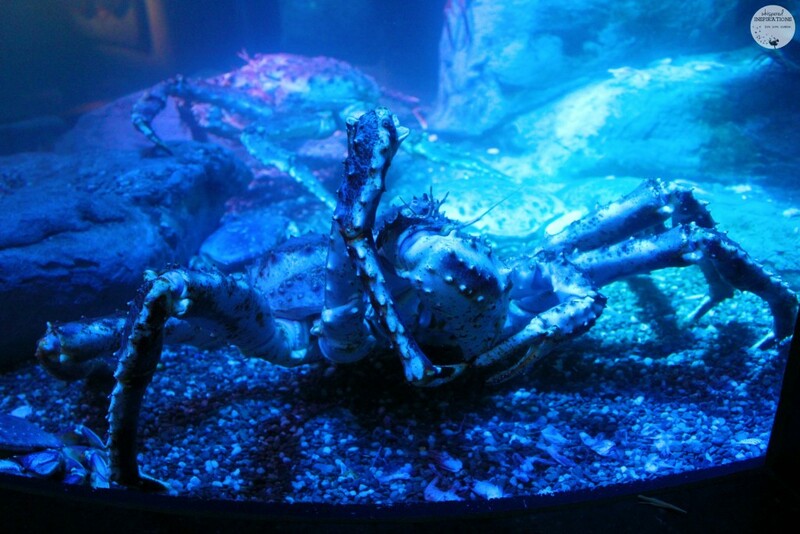 Make sure you visit www.ripleyaquariumsofcanada.com/ and make sure you stop by when you are in Toronto. If you’re local and haven’t had a chance to visit, they offer specialty programming and events like the Stingray Experience, sleepovers, birthday parties, morning yoga and Friday Night Jazz. Don’t forget to connect with them on Twitter, Facebook and Instagram too! 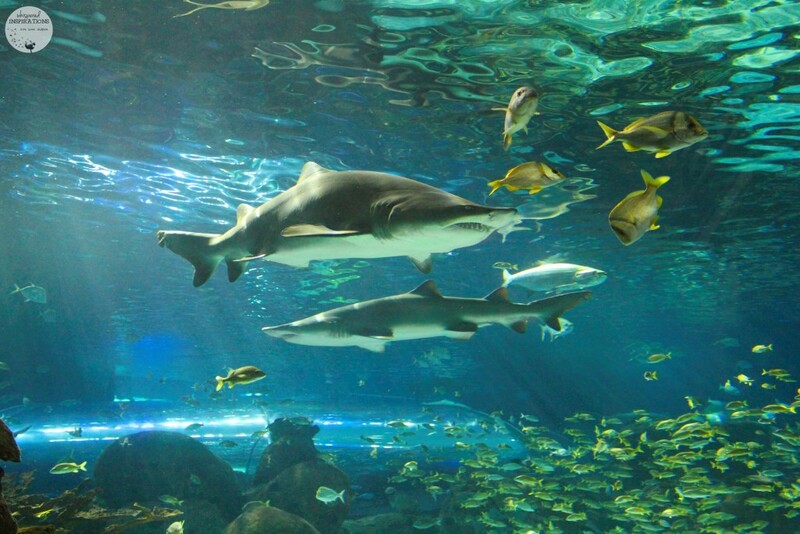 What is your favorite aquatic animal you’d love to see? This looks like an absolutely beautiful museum that would be fun to go to with my kiddo. I live pretty far away but I think ever get up that way I will check it out. That is awesome, it is a great place to visit! I love taking my kids to an aquarium. It is a wonderful way for them to explore the world in a safe environment. So educational and yet it is so much fun. It really is so much fun! The kids love to get their hands in there! Ripley's is at the top of our list for our next trip into the city! We've taken our kids a few times now! We love it. I'm actually heading there next week with my sons class for his trip! We are looking forward to going again! That looks amazing. I would love to take my daughters there. I know that we would all have a ton of fun. I've always loved Ripleys and I've always wanted to go see one of the places. How neat! I love it, so much fun! If you are ever down, you have to visit! Wow, this looks like an absolutely amazing place to go visit. It was nice to see it through your eyes. 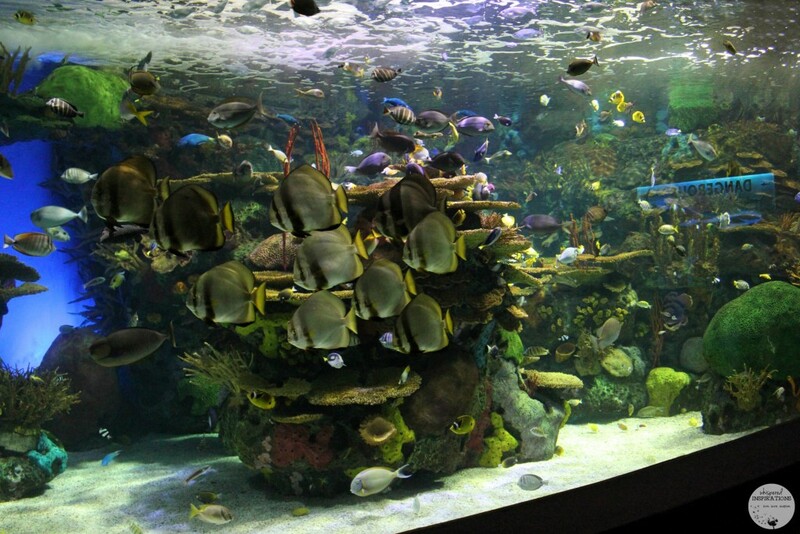 I seriously love aquariums and this one looks fantastic! We have a large one at Henry Doorly Zoo near our house, and it's always the first stop when we go to the zoo. 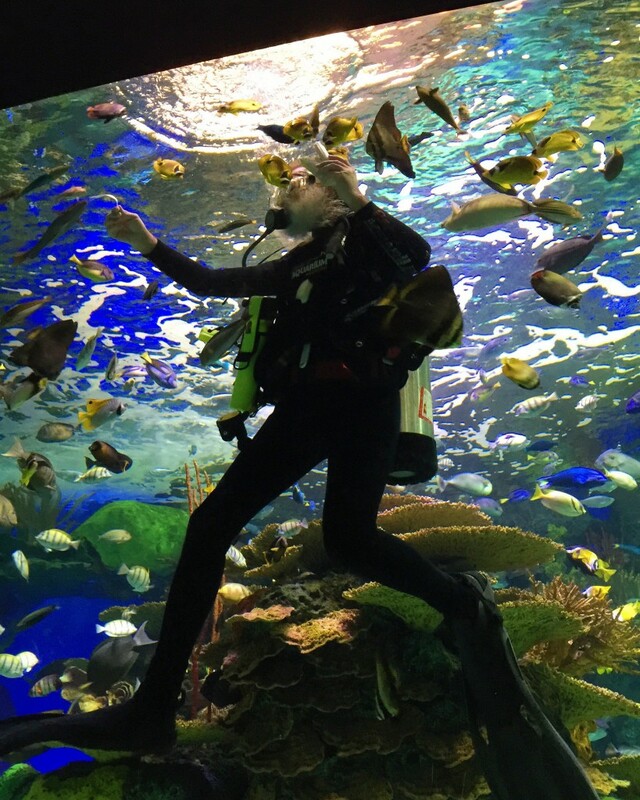 That is great, aquariums are fun! I have been to the one in Gatlinburg TN. If it is half as amazing as that one, any child and adult would have a load of fun. This place looks incredible! My kids would love it. We are hoping to take a trip to Canada next year, I will put this on my list! Looks like a fun place to visit. I want to go there with kids and the whole family. They would really enjoy being there. It really is a fun place! Their exhibits are really expansive, aren't they? I so hope to be able to visit! Yes, add it to your list! 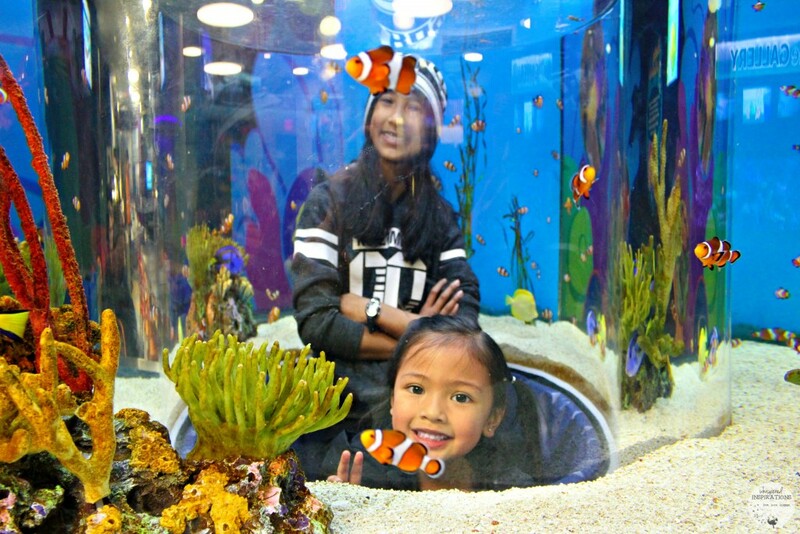 I would love to take my kids to the Ripleys Aquarium in Toronto. It would be a great way to spend the day with the kids. 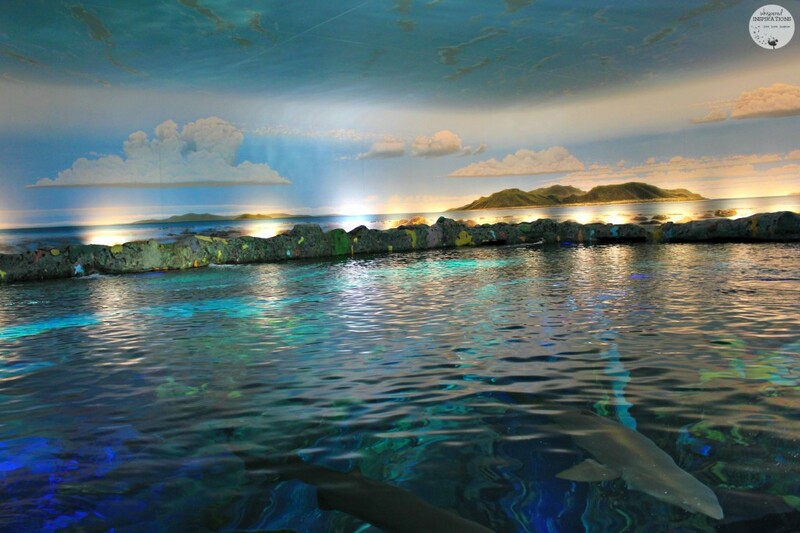 I have been wanting to go to the Ripleys Aquarium since it opened. It would be great for the whole family. 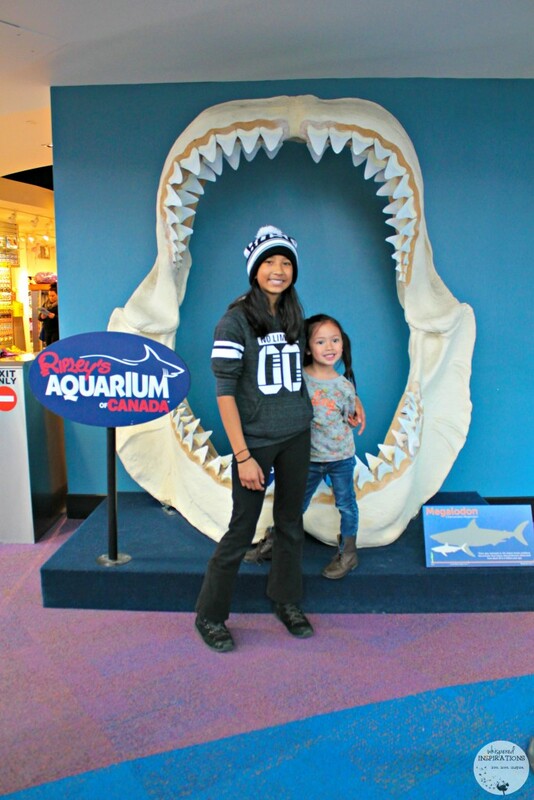 I have been to the Ripleys Aquarium in Toronto and it was amazing. We had a great time and learned so much. Petting the Stingrays was my favorite part. I know, they are so cute! Oh my goodness, what a fun aquarium. 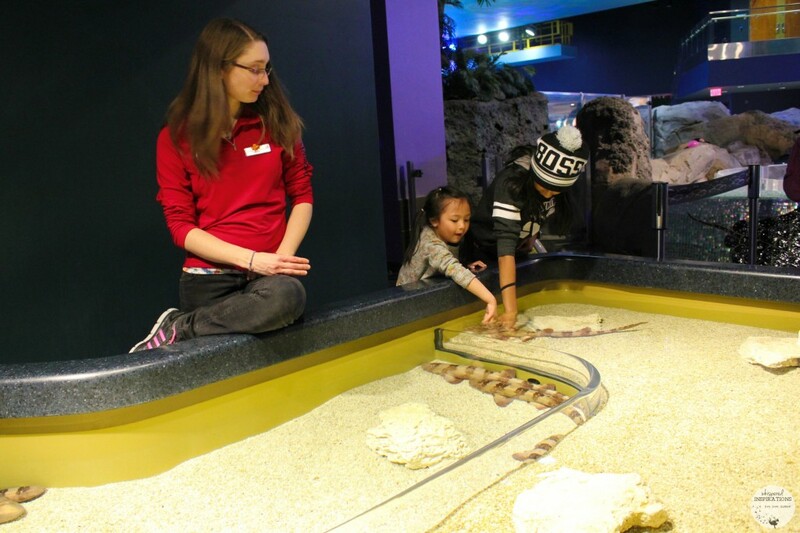 I love hands-on experiences for kids and this sounds perfect! Thanks for sharing. I love aquariums so much! It's so amazing to watch undersea life up close like that. The colors of the ocean are spectacular. What a beautiful aquarium! 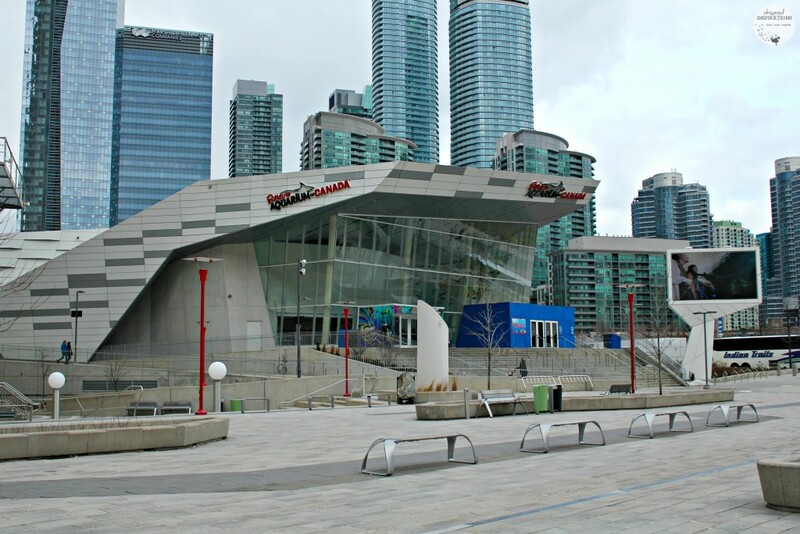 I have not been up to Toronto yet if I do I will definitely check out this aquarium because I love marine animals. Definitely add it to your list when you visit! How fun is this? My son would DIE to go to this aquarium! Looks like something the entire family could enjoy. We all enjoyed it very much! This place looks so beautiful! We are going somewhere like it on Friday and I am excited for my kids to try it out. 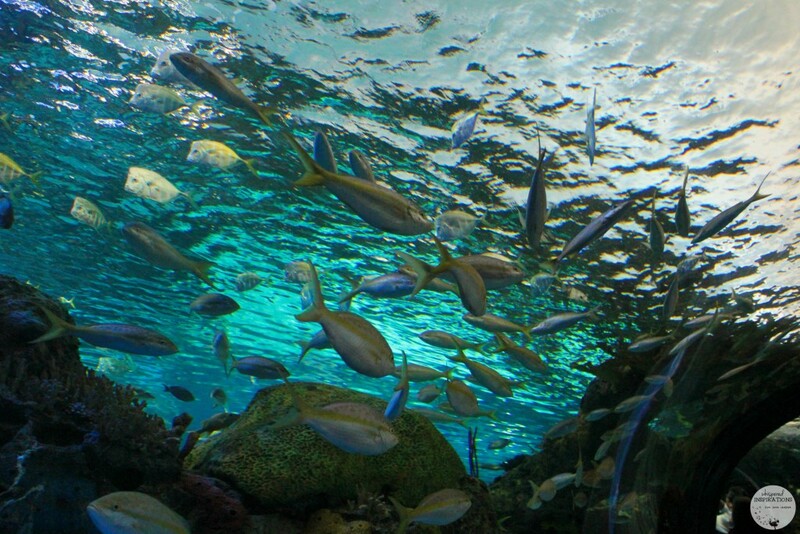 I just love the aquarium and this one looks fabulous! The fact that you can watch a feeding is extra awesome. It was really fun, I love things that are interactive! Wow and Yikes!! 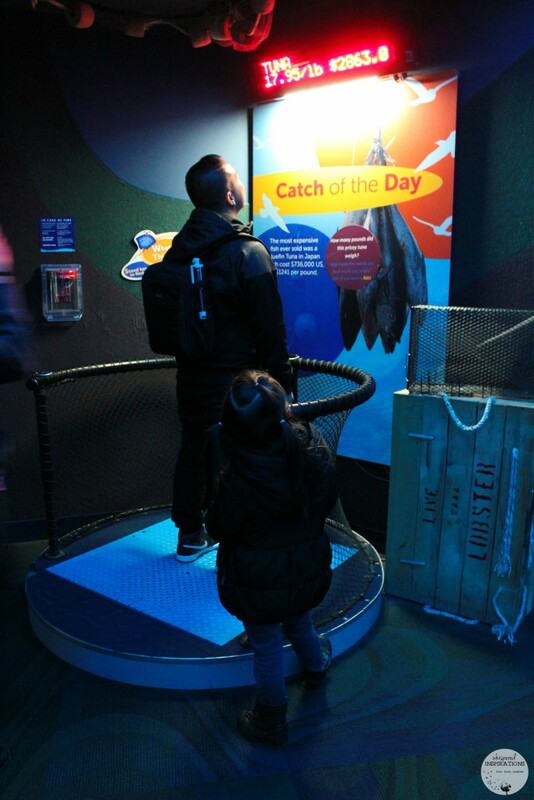 I have to say … my family would love Ripley's Aquarium. Especially my grandsons. They're huge Ripley's fans. That is awesome, you should drop by! 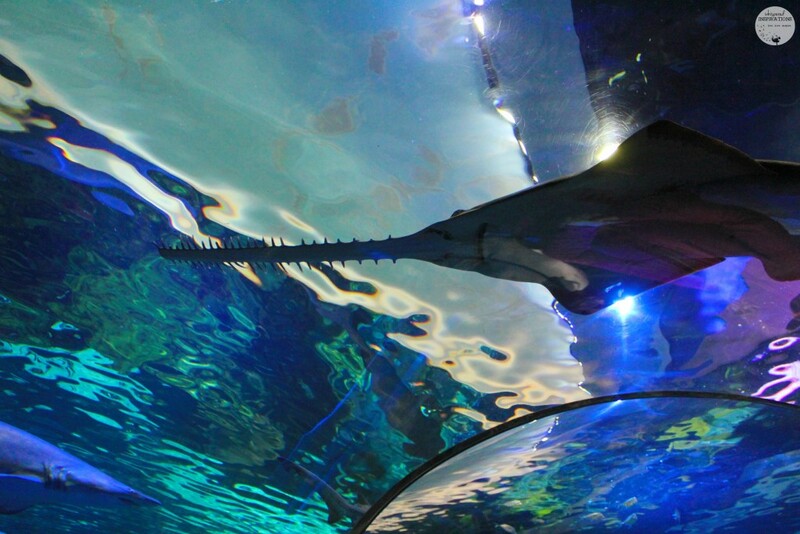 I would love to go to Ripley's Aquarium in Toronto. It would be so much fun and you would learn so much. I want to see the jelly fish and pet the stingrays. I just love aquariums! Man, you have some great photos. It looks like you all had a great time! Thanks so much, we had SO MUCH fun! 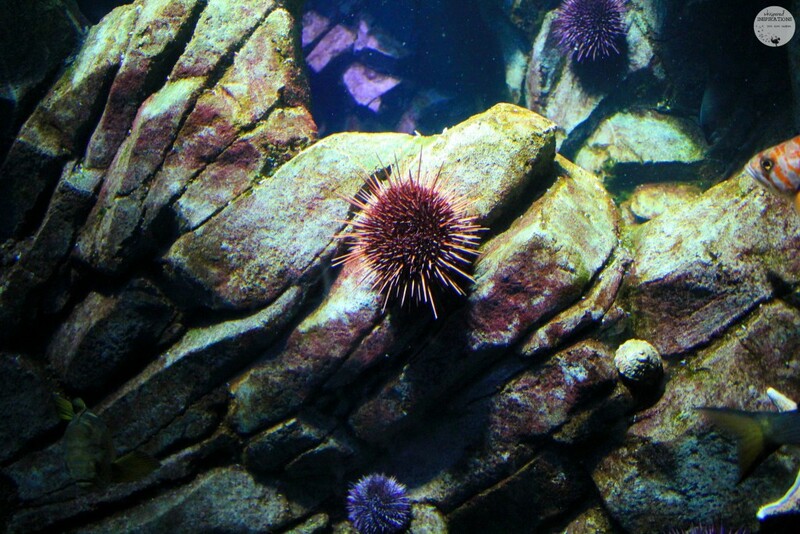 The next time that we are in Toronto, I definitely want to pay a visit to the Aquarium. It looks amazing! It really is a great place. You will enjoy it! Thanks, it really is a beautiful place. Thanks so much, you really need to visit one day! the place looks like a must-go with toddlers+ is it baby (non potty trained) friendly?